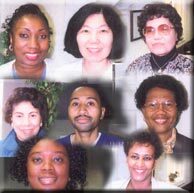 AT HOME CARE, INC. is a Nursing Referral Service Agency licensed by the State of Maryland Department of Health and Mental Hygiene. AT HOME CARE, INC. was established with the goal of making excellent care available at affordable rates. We proudly meet and maintain that goal as we serve the metropolitan Washington areas. Whether you require full or part time assistance, you can rest assured that we can be your helping hand. We assess each individual's needs and carefully match them with the appropriate caregiver based on experience, skills, and personality. We take the worry of scheduling and relief planning from your shoulders. Maryland Respite Care Coalition, Inc.